NAIROBI –– Four people have been rescued from the ruins of a residential building in Kenya’s capital, Nairobi, six days after it collapsed in heavy rains. The first person to be pulled from the rubble was a young woman who was eight months pregnant. Elizabeth Night Odhiambo was rushed to hospital and survived, but she lost her baby. Several hours later, three other people were brought out and taken to hospital. Thirty-six people have been confirmed dead following the collapse of the six-storey residence last Friday and more than 70 people are still missing. The crowd clapped and cheered as 24-year-old Elizabeth Night Odhiambo was rescued, in scenes broadcast live on Kenyan TV. Rescuers had smashed through slabs of concrete to reach her. They managed to provide her with oxygen and an intravenous drip of water and glucose. Odhiambo was rushed to hospital and underwent an emergency Caesarean section but doctors said her baby had already died in the womb. Odhiambo’s husband told the AP news agency that he was happy that his wife was still alive, despite the loss of their child. He said he had been able to talk to his with his wife after the surgery and comfort her. After Mrs Odhiambo was saved, a middle-aged man was brought out and carried to a waiting ambulance. His eyes were wide open though he looked weak and traumatised, said the BBC’s Anne Soy in Nairobi. Then two women on stretchers followed, one of them holding her head. 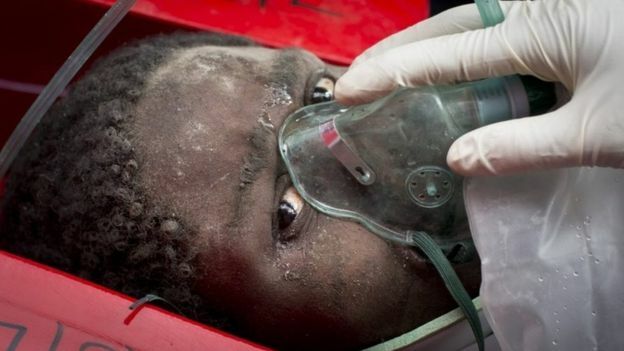 The head of Kenya’s National Disaster Management Unit, Pius Masai, said it was a miracle to have found survivors after so long. He said that rescue efforts would continue around the clock until they were sure all survivors had been pulled from the rubble. About 140 people are estimated to have survived the tragedy. Soldiers, firefighters and volunteers have been searching for survivors since the 29 April collapse of the building. Trained dogs had been brought in, along with special equipment to detect breathing and movement, military spokesman David Obonyo told AP. Getting the survivors clear of the rubble is a delicate process that takes hours of patient work. A seven-month-old child was pulled alive from the rubble on Tuesday, but her mother was found dead the following day. The building’s presumed owners have been released on bail after being arrested on Monday. City authorities said they had earmarked the building for demolition after it was declared unfit for human habitation.